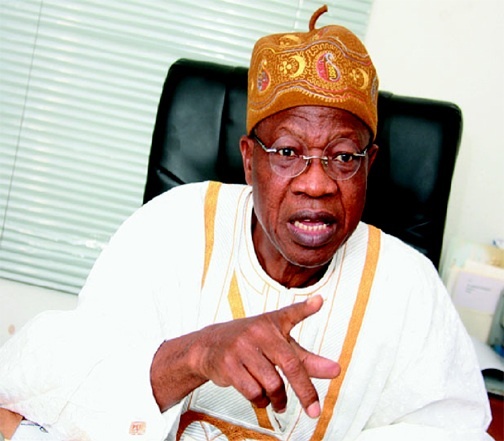 Minister of Information and Culture Lai Mohammed said Nigerians should be prepared for more shocking revelations on corruption, which is yet to be released. Mohammed raised the alarm that treasury looters had resorted to fighting back, using various means. ”When I met with the news and political editors in Lagos on Sunday, I said, among other things, that the government is aware that in fighting corruption, corruption will also fight back. “I also said that those who stole us dry are powerful. They have newspapers, radio and television stations as well as online platforms, and an army of supporters to continuously deride the government’s war against corruption.”Well, I can tell you today that corruption is already fighting back, and it is fighting hard and dirty. Sponsored articles have started appearing in the newspapers and in the social media while ‘Talking Heads’ have started making the rounds in the electronic media, all deriding the fight against corruption as well as this Administration. Not stopping there, they have been creating distractions by sponsoring articles in both local and international media to deride the Administration’s policies generally, tag the President a budding dictator and even write off his 2016 budget. We know that the sole purpose of these attacks is to distract attention from the war on corruption. “It is saddening that some otherwise credible voices have unwittingly allowed themselves to be railroaded into the bandwagon of pro-corruption orchestra. They engage in sophistry to try to rally Nigerians against the anti-corruption battle. “Also, one of those who benefited from the Dasukigate even had the temerity to deride the anti-corruption war as ‘selective’, when in saner climes he should have been so ashamed of himself that he would have apologised to the nation and hunkered down…for good. These sponsored attacks are not about to stop. In fact, they will become more intense and more coordinated in the days ahead. But the good news is that we are winning the war. Nigerians are now talking more about corruption. Nigerians are now counting the cost of corruption to their lives. “We call on Nigerians not to be taken in by the antics of the sponsored denunciation of the anti-graft war. The treasury looters, who have so much resources in their kitty, and their cohorts will throw everything but the kitchen sink at this Administration, But we have no doubt that Nigerians are discerning enough to know the truth which, in the words of President Muhammadu Buhari, is that unless Nigeria kills corruption, corruption will kill Nigeria. The minister said the information on corruption was meant to sensitise the nation on the evil of corruption. For those doubting the allegations, the minister said they should investigate the information he provided to know if it was true or not. “Do you know that What has so far been revealed as per taking in the Dasukigate is about N54.8billion Whereas, in the entire 2015 all the zonal intervention act cost N52 billion. This is the cost of corruption for you. The government has been criticized for disobeying court orders or trampling on the rights of accused people. Mohammed disagreed. He said: “What are we even talking about? Is the human right of the 55 persons more important than human rights of 170 Nigerians? But again, let me make it clear that we do not disobey court orders”. When prodded to provide information on the 55 persons, he said the easiest way is to go to the court or the EFCC to find out who they are as they all have one pending case or the other in the court bordering on corruption.